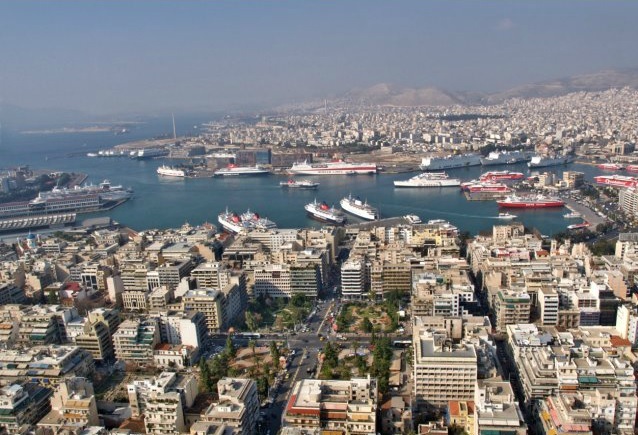 Piraeus in Greece recently received the title of “URBACT Good Practice City” by URBACT, the EU learning and exchange program for cities, for its Blue Growth Initiative. Blue Growth is an umbrella of actions aiming to promote business ideas relating to the sea and aquatic resources. Launched this year, the URBACT label celebrates practical solutions cities are using every day to face challenges such as demographic change, climate and environmental targets, unemployment and urban poverty. Piraeus’ distinction is expected to greatly benefit the port city as it will gain recognition by participating in promotional events and activities related to the “URBACT Good Practices” via the Internet, visual and acoustic material, conferences and seminars. “This is a unique opportunity for the municipality to share its experience on ‘blue growth’, since it will lead the process of understanding and adopting Good Will practices by other cities, through the Good Will Transfer Network, to be created by URBACT,” said Petros Kokkalis, Piraeus’ Municipal Councillor for Local Economic Growth & Entrepreneurship. A total of 97 European cities were awarded with the “URBACT Good Practice” label and were selected out of a total of 270 applications by an international jury of experts in sustainable urban development. An award ceremony will take place in October 2017 in Tallinn, Estonia. URBACT is now building a database of the selected good practices, due to be published online before the end of June. It will make these urban solutions available for all to learn from, particularly urban practitioners, elected officials, researchers, and city residents. The URBACT program is part of the European Union’s Cohesion Policy, co-financed by the European Regional Development Fund, the 28 Member States, Norway and Switzerland. The URBACT III (2014-2020) will continue to promote sustainable integrated urban development and contribute to the delivery of the Europe 2020 strategy.